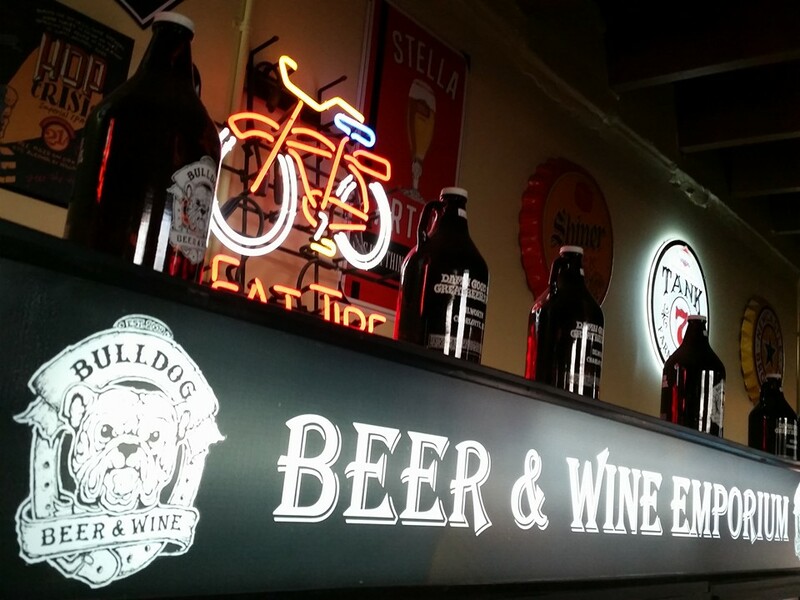 Bulldog Beer & Wine first opened its doors in 2008 in Boone, North Carolina. After five years in the mountains of North Carolina, owner Rob Johnson decided it was time to go home. The Charlotte-native packed up and brought the concept of a bar and retail shop that specializes in craft beer and great wine to Charlotte’s Dilworth neighborhood. After operating for two years in the intimate setting of the Dilworth location, Johnson decided the brand could offer even more. 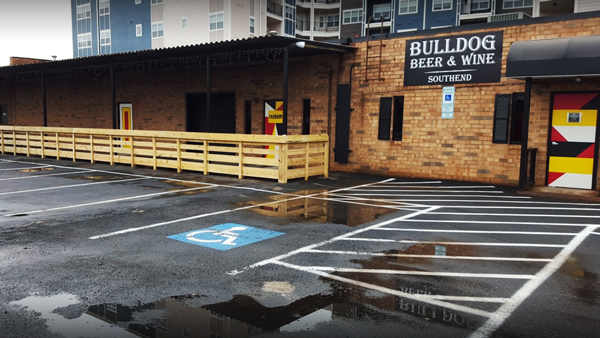 Wanting to be a part of the rebirth of the historic South End neighborhood, Johnson opened a second Bulldog Beer & Wine at 1434 Winnifred Street. We host events! Contact us today. Many nights you may be greeted by our hostess Dixie! The English Bulldog will welcome you with her winning smile. Dixie makes it a family affair; her two sons also work at Bulldog. Security is tight at Bulldog Beer & Wine and is headed up by Dixie’s son Elvis. Elvis is there to ensure a safe and fun environment for all. While there isn’t a monetary cover charge, Elvis insists on a few pats for entrance. So maybe Buster isn’t a certified Cicerone, but his English heritage qualifies him to determine the perfect pint for your tastes right? In fact, did you know the first specialty Bulldog club met in a pub in England in 1878? Good beer is in his blood! The latest new kid on the block. She has alot to say and wants your attention, so listen up!